GSRTC Recruitment 2018: Gujarat State Road Transportation Corporation has released the official notification of the 281 vacancies of Traffic Controller, Clerk. Eligible and trained candidates can submit the 2018 application form from the state of Gujarat State Road Transport Corporation via the online mode from their official website, ojas.gujarat.gov.in. Interested applicants can apply online for the GSRTC Traffic Controller, Employee Job 2018 until the last date, which takes place on 31.07.2018. Applicants can download the official notification from the official website before requesting this job. 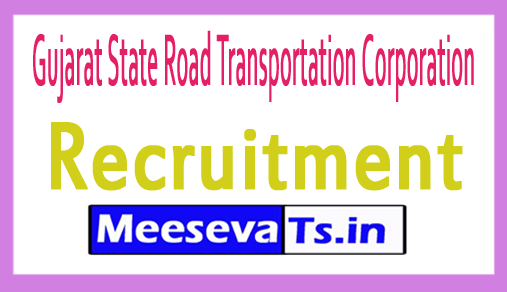 For more information on Gujarat State Road Transportation Corporation's recruitment as claim details such as educational achievement, age limit, selection process, application fee and how to submit the application, important links, syllabus, tickets, results, previous documents are given below. The selected candidates receive Rs. 10,000 - Rs. 14,500 / - from the organization. Take a look at "Recruitment GSRTC 2018 for Traffic Controllers, Dependent Publications".